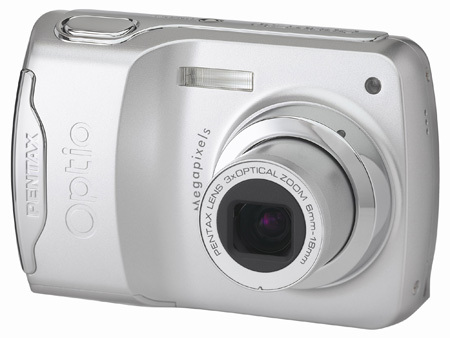 Review With the release of the Optio E30 camera, Pentax has provided consumers with high resolution at a small cost. It might be packing the ability to capture seven-megapixel images, but you can snap up this snapper for less than £100. Even though Pentax has packed in the extra resolution, the company hasn’t felt the need to go over the top on other functions. What that leaves users with is a camera your gran or your nephew could use, but that will still pull off impressive shots. However, there are a few noticeable areas where the cost savings have been implemented. For starters, the £99 price tag shows up with the age-old problem of a delay between shutter press and image capture. This issue is often found with digital cameras, but is beginning to be solved on most professional models, which are now filtering down to amateur prices. However, it’s unlikely to reach truly budget cameras for some time so the E30 shouldn’t be judged too harshly. Coupled with that delay is the less forgivable problem of an occasional issue with the auto focus. This can be slow to home in on your intended target and can sometimes choose the wrong subject to focus on altogether. This isn’t ideal if you are more concerned with spontaneous images using automatic settings. In that scenario you don’t want to be stuck checking the screen for any sign of a focal problem, or find yourself madly snapping away in the hope that one shot will be right. Having bothered to pack in a high resolution, it’s also a shame there wasn’t any spend left over to add the memory to handle those images. A less-than-whopping 11MB internal memory isn’t really up to the job of handling photos taken using the Optio E30’s highest settings and gets full after just three snaps. Luckily, the internal expansion slot for SD memory cards comes to the rescue. Add in a 1GB card, which are as cheap as chips these days, and suddenly you’ve got room for around 280 photos.